This week’s topic is so much fun! It’s all about what books we think will be considered classics in the future which is really interesting to think about. What makes a book worthy of being considered a classic? Are they books that people love? Or books that have been around forever – or that your parents/grandparents read to you? Or are they books that have a profound impact on the public? Or you personally? The Night Circus centers around a magical competition between two talented illusionists – Celia and Marco – who have been training since childhood to compete in this game to which they have been bound. But, what Celia and Marco don’t know is that only one can survive. As the Night Circus travels around the world, the illusions and magical feats become more daring and impressive. And, eventually the two competitors learn of the other – and begin to see the game less as a competition and more a collaboration. And, their love develops from there. Unfortunately, they aren’t in charge of their own futures which leaves all those involved in the circus in a perilous situation. 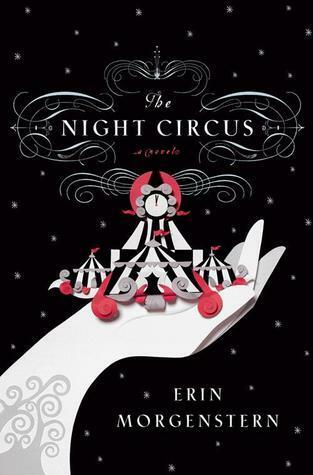 The Night Circus is one of my favorite books – its atmospheric, full of complex, fleshed out characters, and it has one of the most beautiful slow burn romances I’ve ever read. Agnieszka loves her home, but the Wood surrounding the valley have been corrupted and its shadow looms large over all their lives. Agnieszka’s people rely on the protection of the Dragon (a wizard) to protect them. Every 10 years, the Dragon picks a girl from the village to come and live with him. Agnieszka has grown up expecting the Dragon to pick her best friend Kasia. But, he doesn’t. This book has such a brilliant atmosphere – its dark and mysterious. `I absolutely adore Agnieszka as a main character. And I especially love the ending – it gave me just enough to satisfy me while leaving me wanting more. 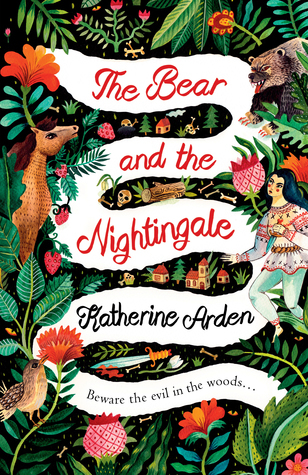 This story follows a young girl names Vasilisa who lives on the edge of the Russian wilderness with her family. I love Vasya as a protagonist. She’s a bit wild and completely uninterested in the traditional female roles being pushed upon her. Life is hard in Russia, but Vasilisa manages to find joy in nearly everything. She especially loves the fairy tales her nurse tells them at night next to the warm stove. One of her favorites is that of Frost, the blue-eyed winter demon. But, when Vasya’s mother dies, her father takes a new wife. And, her stepmother has no patience for the “old ways” and is quick to beat any rebellion out of her new stepdaughter. But, when a new threat is exposed, it will be up to Vasilisa to stop it. Hazel has terminal cancer. And, thought her tumor has shrunk – it is eventually going to kill her. But, when she meets the handsome Augustus Waters at a Cancer Kid Support Group Hazel’s life gets turned up side down a bit. Hazel gets to experience both love and friendship like she never expected. You should absolutely read this book, but be warned that it will make you cry all the tears. But, you won’t be able to put it down. 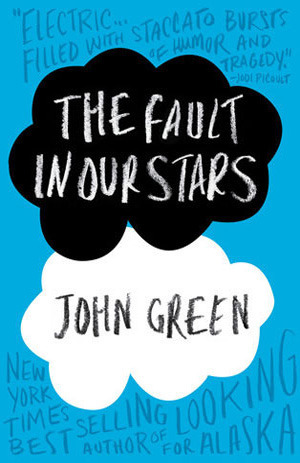 Hazel and Augustus are real, complex, fleshed out characters. You will fall in love with them, and they will break your heart. 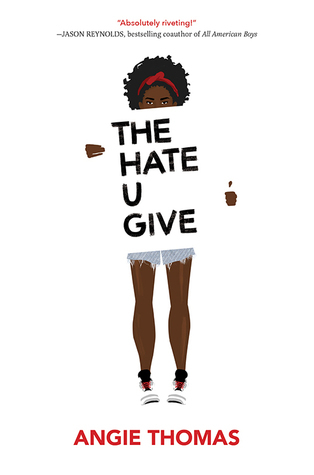 The Hate U Give follows the story of 16-year-old Starr Carter. Starr lives in a poor neighborhood, but attends school at a fancy prep school in a nearby suburb. Starr witnesses a police officer fatally shot her unarmed best friend, Khalil. Khalil’s death becomes a national headline – with people harshly divided on who is to blame. While some are calling Khalil a thug or a drug dealer, others are taking to the streets to protest. Cops and a local drug dealer try to intimidate Starr and her family. Though everyone wants to know exactly that happened that night, Starr is the only person who can provide those answers. This book is incredibly timely. Inspired by the Black Lives Matter movement, this book tackles racism, police brutality, protests, and the lived experiences of people of color. It is already getting rave reviews – and I have no doubt that it will be considered a classic one day. Quote: “Once upon a time there was a hazel-eyed boy with dimples. I called him Khalil. The world called him a thug. So what do you think? Will any of these be classics in the future? What do you think makes a classic? Those are some great choices, for sure! I haven’t read most of them – I’ve only read TFIOS and THUG. And those two I really loved! I feel like a classic is often a book that is beloved by generations and never gets old. I’m pretty sure Harry Potter will one day be considered a classic too. That’s a great definition for classics. And, I think you’re absolutely right about Harry Potter. It will very likely end up a classic! Oh, you definitely should! Its such a wonderful reading experience – and Morgenstern does such a fantastic job of creating well constructed secondary characters. They all feel like real people rather than background stand-ins. Yeah, I imagine that it will be destroying people emotionally for years to come! I know exactly what you mean! Haha. I completely agree with The Night Circus! I loved that book SOOO much! 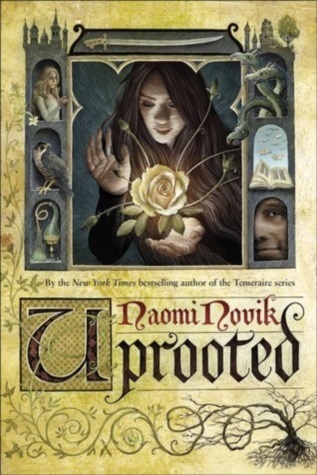 And Uprooted – I keep saying I’m going to read it and I never put it on my TBR list. I’ve heard of so many people talk about it over the last few months so soon!! The Night Circus, in my incredibly biased opinion, is near perfection! Oh, you got to give it a read! It completely took me by suprise, but I ended up loving it far more than I was expecting. I look forward to hearing your thoughts as soon as you get to it! I haven’t. I don’t usually listen to audiobooks – but I may have to give that one a go!